The British Officers Club, a non profit organisation, seeks to promote and foster the camaraderie that exists between military folk, both serving and retired. Members come from the UK, the Commonwealth, the US and include those who have served both the military and the diplomatic corps as civilians. 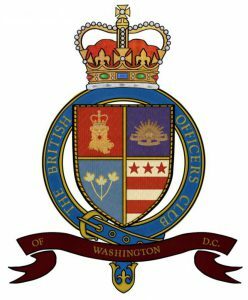 On November 11th, 1918, a group of British and Canadian officers met informally in Philadelphia to celebrate the end of World War I, the war to end all wars.. At that dinner the idea of creating a British Officers Club of Philadelphia was proposed. Since then, the the initial membership of 20 of the BOC has expanded to several hundred members across the United States. In 1946 a Washington branch was established and Winston Churchill was one of the early supporters.